180 Nutrition: With obesity on the rise throughout Western society, we are all very much aware of the health problems that are caused by being overweight. 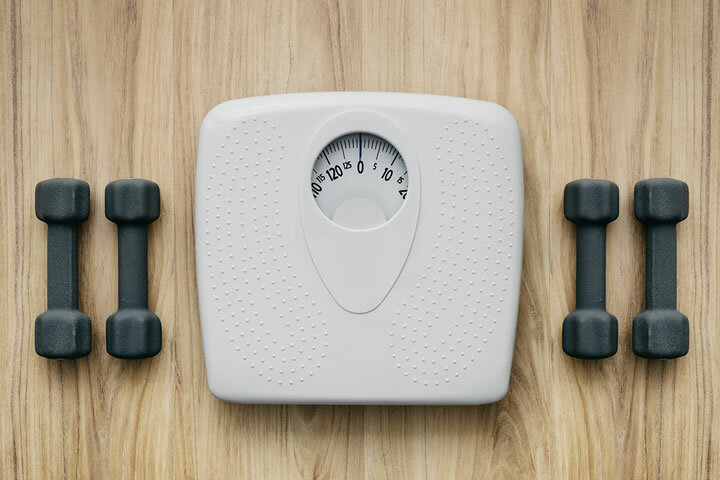 Heart disease, clogged arteries, risk of stroke and other chronic illness are all at the forefront of our minds as far as our weight is concerned, and the battle to beat the bulge can, for some, seem never-ending. It is no surprise then that there is often little sympathy, or understanding, for those of you who are struggling to gain weight. For many, being able to eat as much chocolate, and as many takeaways and naughty treats as you like without having to watch the scales seems to be a great problem to have. Not so. Being underweight comes with its own risk of serious health concerns. It can severely compromise a person’s immune system, deplete energy, and put undue pressure on major organs. Being underweight can lead to fertility problems and is also a gateway to nutrition deficiency which leads to a whole host of more serious complications. It can be just as damaging to a person’s health as obesity, and is a problem that should be treated with just as much importance. If you’re weighing in on the lower end of a healthy weight range and you’re trying to increase your kilos; filling your face with doughnuts and ice cream, delightful as that sounds, will lead to just as many health problems as being underweight in itself. Here are some healthy ways that you can put on weight while not compromising your overall health and wellness. Sorry to be the Grinch of weight gain but pizza, cheeseburgers and high processed foods loaded with saturated fat are not the way to reach your goal. Remember that you are what you eat, and excess saturated fat will gather around your organs putting your health at further risk. Protein helps to build muscle rather than fat so regular consumption will increase the numbers on the scales as well as your strength. Chicken, tuna, oily fish and eggs are all good sources of protein. For further inspiration click here. If you struggle to eat all your protein, buy a good quality protein powder such as those available from the 180 Nutrition shop, and add a couple of shakes a day to increase consumption. Good sources of fat include nuts, seeds, avocado, cold pressed oils, coconut oil, tahini, and nut butter. Good fats are high in calories so will help your quest while keeping the body healthy in other areas. Starchy vegetables such as pumpkin, corn and sweet potatos are all great sources of slow releasing carbs which will see your weight increase without increasing blood sugar levels which will put your health at risk. It’s important to be consistent here because if you’re underweight, it’s likely that your body has got used to surviving on very little and will no longer be telling you when you need to eat. Make a diet plan and keep a food journal to make sure you’re eating something substantial every two-three hours. You won’t always feel hungry to start off with but the more you eat, the more your body will start asking you for more. Instead of having an apple or a banana as a snack, combine it with some nut butter or a handful of nuts. Get used to eating a combination of nutrients in each sitting to increase the impact every single mouthful has on your body. The holy grail of weight gain is the smoothie. Liquids are digested easier than food and get more nutrients into your body without leaving you feeling as full. Try this… combine one serve of 180 Nutrition protein powder with half a frozen banana, some frozen berries, ¼ avocado and a cup of almond milk for a healthy smoothie idea. You can choose any variation of ingredients to give yourself a healthy high (good) fat meal in a glass. Contradicting everything we’ve been taught, eating before bed can be good for you if you’re trying to gain weight. While you sleep, your body gets to work on healing, repairing and regenerating cells and the more it has to work with, the better your results. A healthy snack such as a banana, small tin of tuna, handful of nuts or a healthy protein shake will give your body plenty to work with while you slumber. 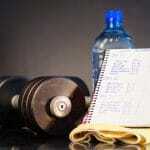 While exercise is associated with losing weight and might seem at odds with your goals; your body needs it. A weight-based exercise routine will help build muscle and strengthen your bones. No need to go crazy on the cardio but strength training coupled with a high protein diet will increase muscle making your body stronger, fitter and healthier. Just as with losing weight, putting on weight isn’t going to happen overnight and you need to commit to the process. Binge eating on the wrong foods will see you put weight on faster but will lead to further health problems down the line. These simple steps will see you put weight on healthily, and permanently.